This Company is Opportunistically Exploiting The Oil Sector Downturn | Energy and Gold Ltd. 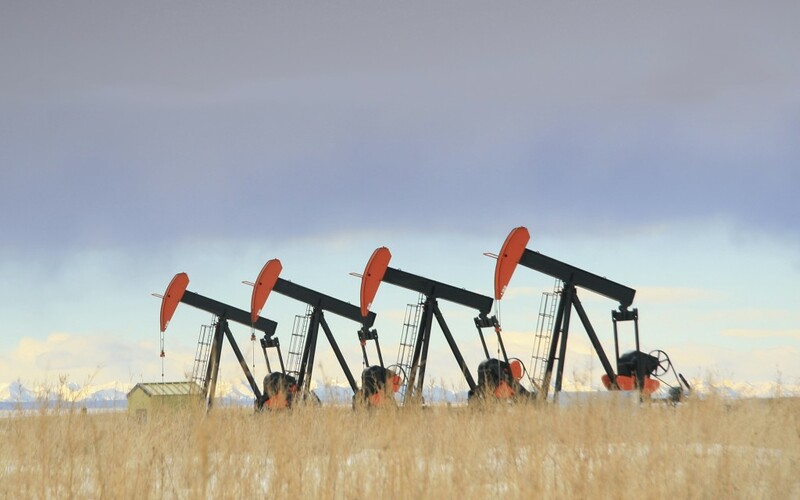 While most oil & gas companies are in damage control mode, there are a few bold companies who are willing to step in and take advantage of market dislocations. A tiny Vancouver based oil & gas explorer, Jericho Oil (TSX-V:JCO), is one of these companies that is opportunistically exploring acquisitions. Jericho is uniquely positioned to make highly accretive acquisitions in the $1-$10 million range, a sweet spot which most companies doesn’t receive much attention because small acquisitions don’t move the needle for the vast majority of producers. Jericho is primarily focused on legacy oil & gas assets in the mid-continent region of the US (Kansas, Oklahoma) and the company is already experiencing success in completing accretive acquisitions in the last year. We had the opportunity to catch up with Jericho Oil CEO Allen Wilson and delve into his vision for the company and what he’s currently seeing in the market. Scott Armstrong: Can you please provide us with a brief history Jericho? Allen Wilson: I founded the company in 2010 and we went public in 2012 as a resource company but in my mind we were always going to look for something in the oil space. In 2014 we successfully made that shift into the oil space. There’s nothing that beats the cash flow aspect of oil, it’s a great way to build a company. When we set out in April 2014 the goal was to get the company to cash flow breakeven as quickly as possible – in a ~$90 crude oil price environment it was tough. What was tough was trying to buy projects, it was hard to wrap our heads around the valuations; they get lofty as the commodity gets higher. What we did decide was the platform, as money abandoned mid-continent conventional oil and went towards the shale plays we looked at where money was leaving and where there was a good opportunity to build a business and that was in conventional oil plays. The first year was a great year for us (2014); we started in April and by the end of year we had drilled 100 wells and increased production dramatically and profitability was on the horizon. But then we were hit with the changing (falling) oil price. The changing oil price for us I think presented an opportunity and I think companies are going to be judged by how they managed through the challenging oil price environment this year. So far I think we’ve done a good job because we shifted our focus from drilling to acquiring production; we don’t think drilling makes sense because we can acquire production for cheaper than we can drill for it. Ultimately our shareholders are looking for value and I think the way we can most effectively add value is through these acquisitions. Scott Armstrong: Can you tell us a little more about your acquisitions and how Jericho identifies its targets? Allen Wilson: From day 1 my goal was to target onshore North America. Meaning I had to be able to get into my car and drive to the oil wells. We target somewhere where we think we can have the greatest impact. So we focused on the mid continent, specifically Kansas and Oklahoma. The reason for Oklahoma is that it’s always been a top 10 producing oil state. It’s an oil friendly state and you’re looking at a time when there’s some distress out there, so there’s assets to buy and there’s a good labor market. So it’s a great environment for us. We’ve made 2 acquisitions so far this year, the 2nd one being the most notable because we bought it from a company called Chaparral Energy. Chaparral is a good sized producer (around 30,000 barrels per day) and they were spinning off a property that didn’t work out for them in terms of drilling. From a production standpoint we identified this property as being an excellent opportunity. So we bought from Chaparral 6 horizontal wells that were producing about 70 barrels/day and we are happy to report that production is up to around 100 barrels/day. We’ve made money every month at the wellhead even at these prices. This acquisition kind of proved our model, that we can go in and acquire existing production and operate these wells efficiently. The 2nd acquisition that we recently announced in late-October is very similar; it’s got a little bit more production (~105 barrels per day), a super acreage package, and it’s in a great county. We’re able to pick up positive cash flow from day one, I’m modeling this out to making the company $35,000-$40,000 per month just as is on an operating basis. These 2 acquisitions point to our strategy. Our strategy is to acquire production and acreage in a somewhat consolidated region so that we built ourselves up to a nice acreage package with impressive production. The idea being that we can operate these assets in the current price environment and generate positive cash flow while being prepared to profit from a recovery in the oil price. If nothing changes in the next couple of years these assets will pay for themselves through free cash flow and if we do see upside in the oil price that’s where you can see an exponential relationship to the price of oil. I think if the oil price recovers to $60 these acquisitions will dramatically add value for shareholders. CEO Technician: How much capital do you have available right now? And how many potential new acquisitions are you looking at now? Allen Wilson: We have looked at roughly 30 deals over the past year, had about 15 non-disclosure agreements, and I would say that we have 3 or 4 which I would say are prime targets that have a good chance of closing. They will require more capital, we currently have about US$1.5 million in the treasury and we are doing about net 100 barrels/day. We have no debt currently but oil is a leveraged business so at some point for these acquisitions we will look to the debt market. Reserve based lenders are still offering about 4% money which from my shareholders’ standpoint is fairly cheap money. But you have to be careful with your modeling, you can’t afford a misstep. We had a fairly successful year last year raising money. We were able to raise $11 million and we paid barely any finder’s fees for that money. We also have a strong group of investors should we need to raise more money in the future. In fact, our last capital raise consisted entirely of our existing shareholder base. CEO Technician: What are you seeing in terms of forced asset sales in the oil & gas space? Are you seeing bid/ask spreads for oil & gas assets narrowing at all? Allen Wilson: That’s a really good question. 2015 has been one of the lowest years ever in terms of dollar value of transactions. Cycles are longer than people think they will be, and the longer the cycle goes the level of distress increases. We’re getting to the point where we are starting to see more sellers decide to get rid of their assets. We are going to see updated reserve reports soon which will trigger bank regulators to force writedowns and asset sales. When we are able to get our production levels up and our share price moves up accordingly we will be open to using our shares to get deals done. When we buy a project with shares it gives the seller hope (the share price can go up) as opposed to a cash deal which is terminal in terms of the value captured by the seller. CEO Technician: Where do you see Jericho one year from now? Where do you see the company in two years? Allen Wilson: My goal is to have Jericho producing over 1,000 barrels/day within a year from now and 3,000 barrels/day within two years from now. In the current price environment it looks like that will have to happen through acquisitions. CEO Technician: Are you exclusively focused on the mid-continent region of the US? Allen Wilson: Currently that’s where we’re focused. We’re working on 3 or 4 deals right now and that’s probably the maximum bandwidth we can take on to look at. These deals take a lot of effort to look at. Something else I’ve noticed is that with micro-cap companies that don’t have geographical focus, it hurts their valuation. If you’re too spread out you have to ask yourself “how do you operate them all?”. As we grow our focus will be primarily the United States, and possibly Canada. We are not focused on anything outside of the mid-continent right now. Another thing that’s important to note is that Oklahoma is an oil hub, so there is a tremendous amount of oil infrastructure there (refineries, etc.). Not everyone gets the WTI price (the final captured price for the producer can include many ‘minuses’), in Oklahoma we are getting within .50-$1.00 of WTI including transportation. This makes the economics of projects much more robust, especially at these current crude price levels. I think the focus on the mid-continent will be really good for us. Scott Armstrong: What is the cost per flowing barrel that you are targeting in acquisitions? Allen Wilson: If we are talking metric flowing barrels I will give you an example. We bought the Chaparral project for $21,000 per flowing barrel, we got incredibly lucky, I don’t think we get that deal or at least I don’t want to set the expectation we do. I see a lot of stuff happening between $40,000 – $46,000 per flowing barrel but we are targeting $30,000 – $37,000. Now that metric alone is not enough to value the property or asset. I have two projects I’m looking at right now that both do a 100 barrels a day and nearly identical land packages, one loses $10,000 per month and the other cash flows $60,000 per month so obviously I’m going to favour that one. They have the exact same acreage, land packages similar sites and probably wouldn’t close on the $10,000 loss unless they were doing something so operationally wrong that I could turn that into a positive. So a real simple way of looking at from a per flowing barrels standpoint, there are other factors we consider in valuing a project. But at $30-$37 I am very happy to be buying. When we look at the history of oil, that’s cheap in terms of real dollars. Another macro thing to think about when considering the price of oil, something I realized the other day, oil in 2008 oil had a big price drop down to the $30’s, but keep in mind in 2008 everything dropped, copper, iron ore, housing, you name, it even cars, you couldn’t sell a car but everything recovered quite quickly so if you take that out of the chart of oil then oil has been in a bull run for 15 years. So maybe we should have been a little more cautious. Look at the last 15 years and the price we are paying per flowing barrel in below the in intrinsic value of oil in my opinion. 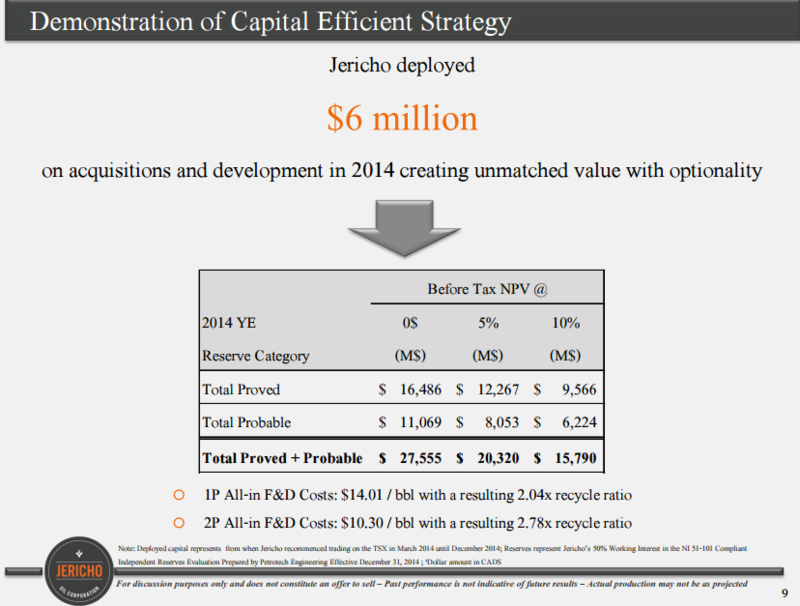 CEO Technician: How has the volatility in the oil price affected Jericho? Allen Wilson: Let’s look at services as oil prices have dropped. A company has a crew that has 6 to 8 guys working for them and they simply came to me and said they would do it at costs they just want to keep their 8 guys employed. So he took all of his profit margin out of the contract so that allowed me as a producer to keep our margins profitable. That is happening across the industry and it’s not unique to us. So the costs of services have come down as the available work continues to dwindle. 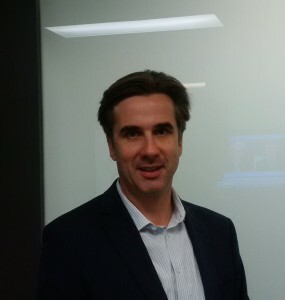 CEO Technician: What makes Jericho unique and sets you apart from other micro-cap oil & gas explorers? Allen Wilson: One thing that I think is very important is that every single employee of our company is a shareholder of the company. In 2014 I personally took a salary of $120,000 and put $100,000 back in the private placement plus I did various insider buying so I’m motivated to move this company higher and so is everyone at the company. You think twice about every cost when you know it’s your own money at work and ultimately that is going to fare well in terms of share price. So that’s my personal philosophy, I believe that every shareholder is an owner of the company and when you are the owner you have certain expectations for how the money is managed so our management plan is aligned with shareholders because our management is shareholders. Thank you for your time Allen and we look forward to following Jericho and providing our readers with updates as to the company’s progress. The EnergyandGold.com employees are not Registered as an Investment Advisor in any jurisdiction whatsoever. 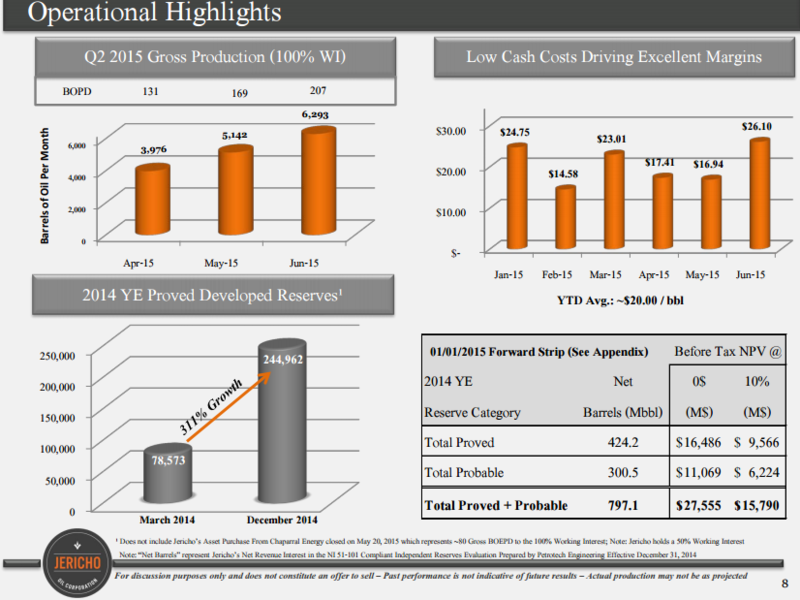 EnergyandGold.com employees are not analysts and in no way making any projections or target prices. Neither the information presented nor any statement or expression of opinion, or any other matter herein, directly or indirectly constitutes a representation by the publisher nor a solicitation of the purchase or sale of any securities. The information contained herein is based on sources which we believe to be reliable but is not guaranteed by us as being accurate and does not purport to be a complete statement or summary of the available data. The owner, publisher, editor and their associates are not responsible for errors and omissions. They may from time to time have a position in the securities mentioned herein and may increase or decrease. One of the authors of this piece holds a long position in JCO. Please always do your own research. Copyright All images in this document are copyrighted by the concerning companies. Still, the owner, publisher, editor and their associates are not responsible for errors and omissions concerning this data. Important This document is distributed free of charge, and may in no circumstances be sold, reproduced, retransmitted or distributed, without written consent from EnergyandGold.com.